The GHMC now plans to increase footfall at the park by adding new facilities, especially for families. Hyderabad: Morning walkers at Indira Park can soon look forward for an acupressure walking track in the park as Greater Hyderabad Municipal Corporation (GHMC) is planning to set up the facility with special landscaping. After the Sachivalayanagar Park in Vanasthalipuram, Indira Park will be the second one in GHMC to have acupressure walking track. The civic body plans to develop the landscape with a theme along with acupressure walking track in the open ground opposite the palm trees section in the park. The facility is being planned with a cost of Rs 10 lakh with an idea of offering additional facility to the walkers at a minimum cost. Acupressure works on circulation of blood and is believed to refresh the body. Senior citizens who cannot walk for long distance due to age and knee pains get more benefitted, said MA&UD OSD V Krishna. There is a cascade here and it will be renovated along with the development of acupressure walking track. Unlike the Sachivalayanagar Park, the track at Indira Park will be bigger. It would be three metres wide and covers 50 to 60 metres in a circular shape, he said. 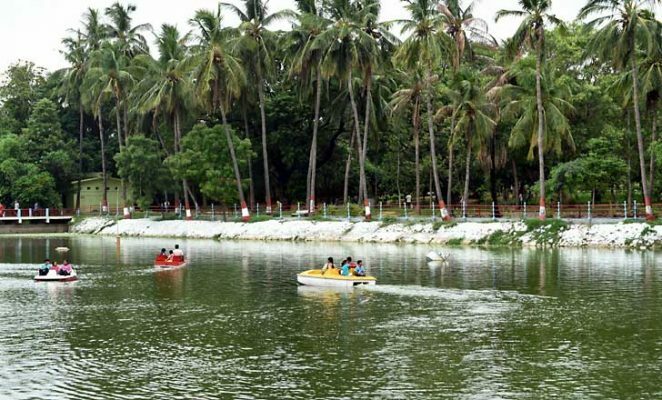 Despite being the oldest park in the city and well-connected geographically, Indira Park these days has not been getting many visitors. Every day, about 2,000 morning walkers visit the park but hardly 500 general visitors come to the facility later in the day. Under the initiative, the municipal corporation is also planning to introduce adventure sports like zipline riding over the pond in the park. This will be specially developed to attract youngsters and children. The officials said that plans were being prepared for new facilities and would be taken up once approved by the GHMC Commissioner M Dana Kishore.